When the waters start cooling off and the annual AWARE and Nordic Nightdive have passed, the divers who only have a wetsuit are pretty inactive in the cold Estonian weather. Martti Raavel decided to change that situation and organized an underwater checkers tournament. 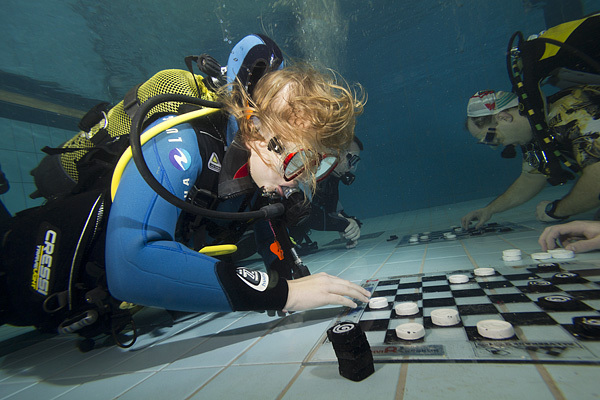 In this year for the fourth time divers gathered together and played checkers underwater. This year's winner is Karin Tapupere. Congratulations!